Sampson is an all around amazing guy. He is very social and wants love and attention from everyone. Sam knows a variety of trips, such as, sit, lay down, paw, stay, and more. He is 3 so his attention span is limited, but he loves to learn and is very willing to do so. Sam gets along with all dogs and has never shown any kind of aggression. I am rehoming sam due to my current lease ending and needing to find him a dog friendly home. He is also young and needs a more active home then I am able to give him. We go hiking and running in the field off leash often and I never have to worry about him running off. 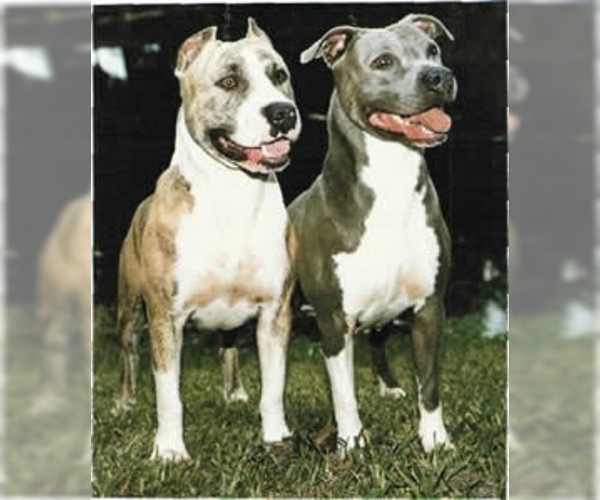 Overview: The American Pit Bull was originally bred for dog fighting and gained a reputation as a vicious animal. Can be a loyal and affectionate pet when trained and socialized properly. Coat: Its coat is thick, short and shiny. Character: The American Pit Bull is intelligent, loyal and affectionate. If not properly trained, can be dominant and aggressive. Temperament: The temperament of the American Pit Bull depends largely on the training and socialization the animal receives. In the hands of an experienced trainer, they can be socialized to be good pets. May not do well with other pets or strangers. Care: This breed is easy to groom. They need to be bathed regularly and brushed occasionally. Training: American Pit Bulls should be owned and trained by people experienced with this breed or other aggressive breeds. Activity: American Pit Bulls need regular exercise, both in fenced yards and walks with a leash. 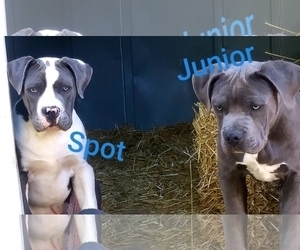 Posted Breed: American Pit Bull Terrier (medium coat). Posted Breed: Pit Bull Terrier. 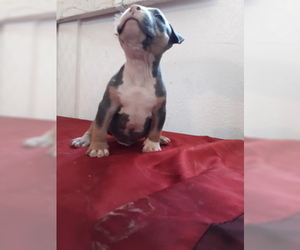 Posted Breed: Pit Bull Terrier (medium coat). Posted Breed: American Pit Bull Terrier.